News and activity reports posted prior to Oct. 10, 2014 have been combined on the new News & Activity Reports page (blog), where everyday topics are covered. Previously posted articles are also available on the blog. Comments may be posted on some articles, so feel free to offer your opinion. Please note, however, that frequent power outages and disruptions in Internet service in Kitgum make it difficult to reply on a timely basis. Because of the complicated situations of orphans in Uganda, the most of them have no birth certificates and it is difficult to accurately determine their backgrounds. Therefore ages on this site are estimates made at the time the article was posted. K.Hatsue known locally as Lamunu,PRAfrica country director with some of the children she is helping. 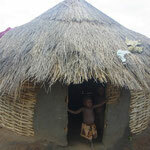 Welcome to the official website of Poverty Relief Africa. 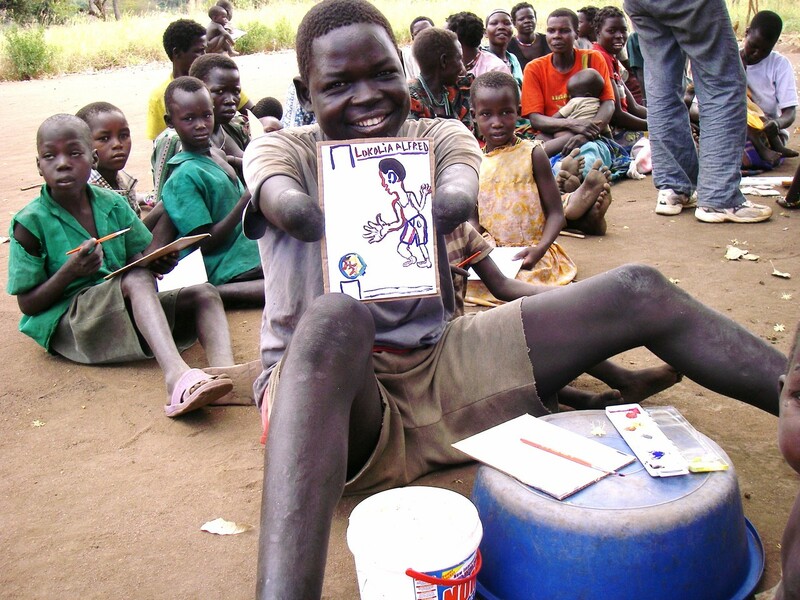 Poverty Relief Africa (PRA) is a non-governmental organization providing aid primarily to children in the Kitgum district of northern Uganda who have been orphaned by war or AIDS. 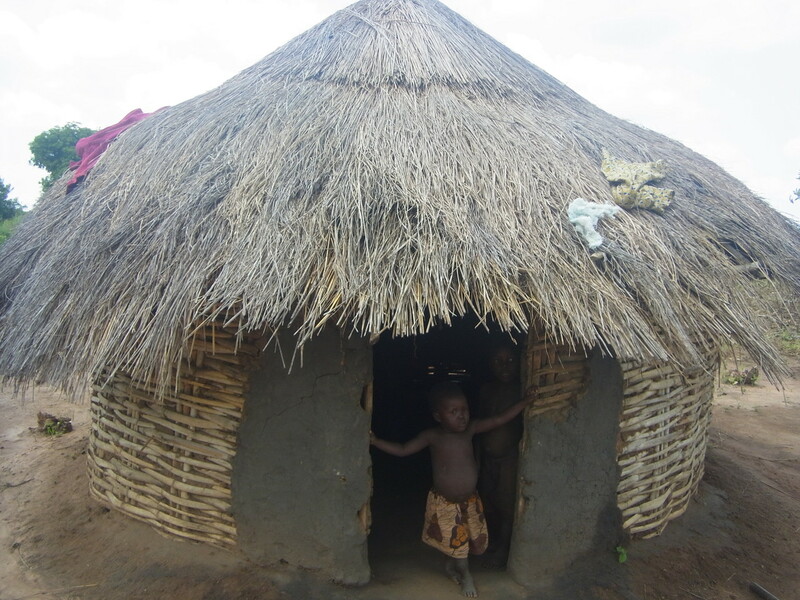 Although hostilities have been suspended in the war that lasted more than 20 years, many problems plague northern Uganda including poverty and post-traumatic stress disorder (PTSD) as well as AIDS and other illnesses, such as nodding disease, which is endemic in the region, and many children need support. PRA was launched in 2003 while the war was still going on, and in 2009 it opened the first free library in the area. As of 2015, there are 5,000 registered library users. Through the library we interact with local children, and in the summer of 2012 we undertook a new project to enable children to go to school. In the first term of the 2014 school year the program supported 13 boys and girls in Kitgum and one girl in Agago. An additional five children from Kitgum received assistance to enter or return to school for the second term in May 2014, for a total of 19 children. In the third term (starting in September) one more child was added to the program. But nearly 20 other school-age orphans who are tutored at the library are hoping to be the next to receive assistance that will allow them to attend school. PRAfricaとは -- What is PRAfrica?